Interested in having a night out of town with your friends, but don't want to deal with the annoyance of getting around town with bad drivers or spending 30 minutes trying to find parking? 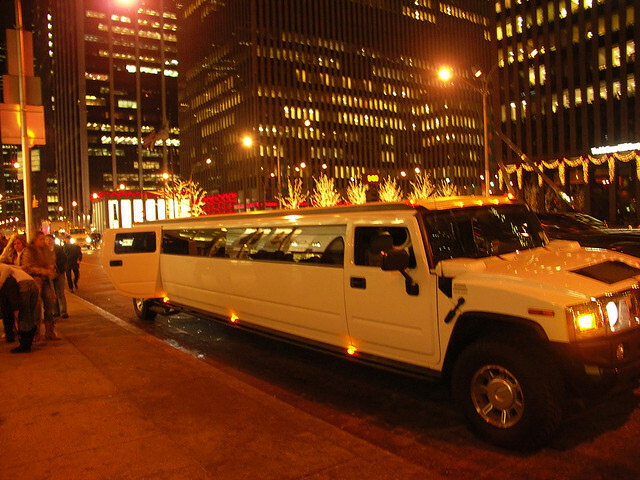 Hop between fancy restaurants, bars, and nightclubs in our stylish stretch limos or party buses and do not worry about anything but having a great night out with your friends. Or maybe you are planning more mellow evening with friends and plan to catch a musical play at the Orpheum Theatre. Our chauffeurs are at your beck and call and will delightfully take you anywhere you please. And for those who plan to drink, let our chauffeur be your "designated driver". They will safely get you from one location to another, get you dropped off and be waiting to pick you and your party up out front. Yes, your whole night can be coordinated with such ease. We, at San Francisco Limo, strive to provide you with a safe, comfortable, and worry-free experience. And that is why clients come back to us over and over again. Let us help you plan an unforgettable night of fun. Call us at 415-801-3355. Or fill out the form to the right and we will get you in touch with one of our helpful representatives right away.